Bringing the most advanced technology to our patients, we recommend Optomap ultra-wide digital retinal imaging as part of your comprehensive eye exam in Nampa today. 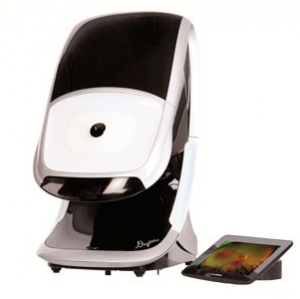 The Optomap ultra-wide digital retinal imaging system helps you and your Nampa eye doctors make informed decisions about your eye health and overall well-being. Combining our doctors’ expertise and Optotmap technology, Optomap brings your eye exam to life. With Optomap our doctors can see a wider view of your retina without dilation. This allows you to get on with your day without the hassle of the visual eyestrain due to light sensitivity and blurred vision. We also can detect many eye conditions such as Macular Degeneration, Diabetic Retinopathy, Retinal Detachments and Macular Holes. The retina is the only part of the body where you can see blood vessels without cutting into the body.